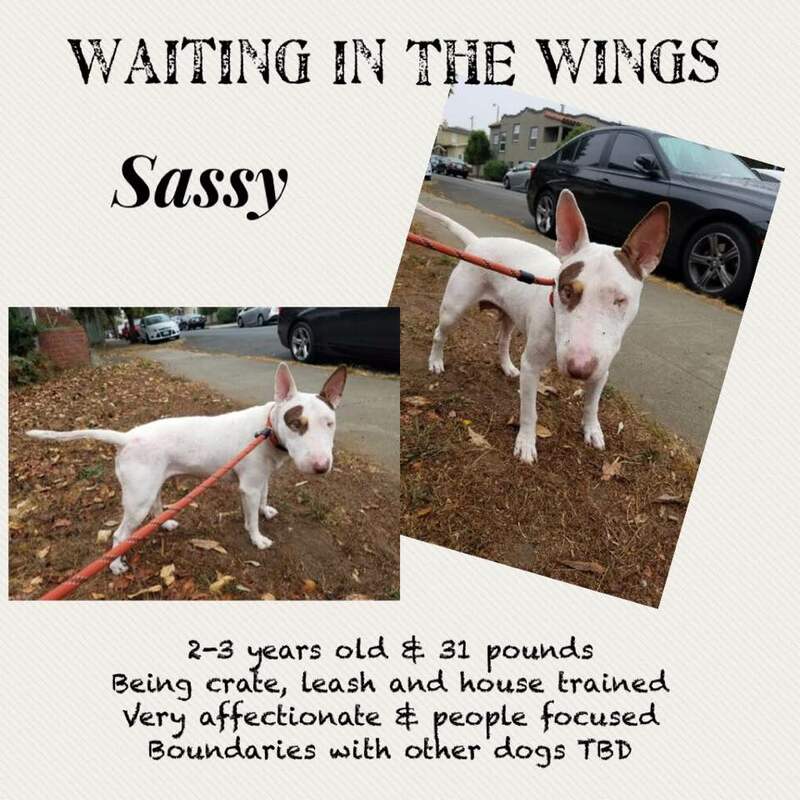 Sassy in San Francisco, CA – ADOPTED | Bull Terrier Rescue, Inc.
Meet newly arrived Sassy from the Bakersfield City Shelter. She’s in San Francisco learning about crates, leashes and being in a house. She’s fun, very social and twirls when you call her a “Good Girl!”. Very delightful! Stay tuned for updates while she recovers from her skin issues. Sassy may have entropion so we’ll likely address that at the time of her spay. At this time, we’re not sure how she is with other dogs and cats.